Please note orders can still be placed on our websites during the Christmas period as normal and we will start dispatching on Wednesday 2nd January 2019. With a new year, comes a new Pantone colour of the year. For 2019, that colour is living coral. Find out how to use this with your stationery in 2019! Customers will be pleased to know that after more than an 8 year absence, Ideal Envelopes will be back at the ICHF Creative Craft Show in Manchester. 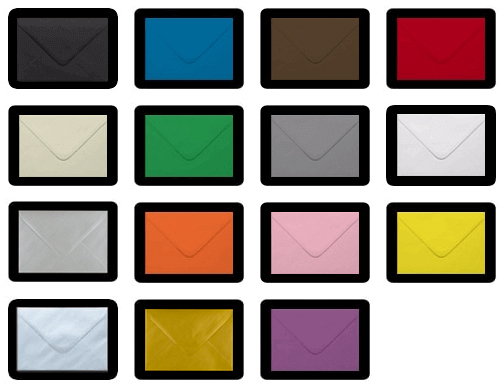 Take advantage of 10% off all our standard stock coloured envelopes while England remain in this years world cup. The job of the envelope in a direct mail campaign beside delivering the content is simple - to be opened. 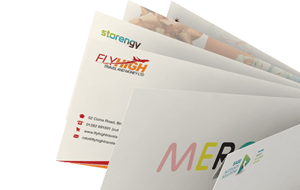 Envelopes are the first thing you see, so you need to make a good first impression and stand out from the rest. We will share tips below on how to maximise open and response rates by picking the right envelope. Please note orders can still be placed on our websites during the Christmas period as normal and we will start dispatching on Tuesday 2nd January 2017. Ideal Envelopes was proud to be asked once again to help of The Institute of Cancer Research with a donation of envelopes for a fund raising event that is the highlight of their social calendar. It is tradition for red envelopes to be gifted containing money to children and single people which symbolises good luck and good fortune as well as to ward off bad spirits. Red envelopes are also typically given at other special occasions such as birthdays and weddings. We would like to thank you for your business during 2016 and look forward to continuing to work with you during 2017! Our Christmas opening times can be found below. We have introduced a new range of high quality 120gsm peel & seal coloured envelopes that are available in C5, C6, DL and 155mm Square. We have reduced prices while keeping the same quality of envelope! We have added a new delivery option at checkout to further improve our service. You can now select an option to have your envelope order delivered to your local shop before 12pm!. We would like to thank you for your business during 2015 and look forward to continuing to work with you during 2016! Our last day for dispatching orders will be on Wednesday the 23rd and we will close for Christmas at midday 24th December. We re-open on the 4th January 2016 and will start dispatching orders placed over the holidays. The Children's Hospital Charity aim is to give the best possible care to the young patients and their families at the Sheffield Children's Hospital. They are putting on an event for their Winter Ball and asked if we could donate any envelopes for the occasion. We like to support and help charities as much as we can and so donated 700 of our metallic gold DL envelopes. We have introduced a new gallery that contains a selection of our custom printed envelopes. These are actual past jobs that have run through our printers and will give you an idea of what we are able to produce. With the Christmas period fast approaching Ideal Envelopes have introduced a brand new range of Christmas themed printed envelopes for Christmas 2015. All these festive designs are available in a full range of sizes. Struggling to create a design for your custom printed envelope? Then we have a new online editor that you can add your logos/images and custom text to an envelope size of your choice. You can also position and scale the text/images anywhere on the envelope you like! We have now introduced a new feature for you to be able to track your orders from your account on Ideal Envelopes. All you need to do is simply log into your account and go to 'My Orders'. You will see a list of all your orders and all you need to do is click the tracking number. Due to popular demand we now have a new range of grey envelopes! These are available in all our popular sizes and are made from high quality 120gsm paper and also match our range of wagtail grey card. To help our customers celebrate the four day Easter holiday, Ideal Envelopes is offering four fantastic money saving offers for the whole holiday period! 2. All envelopes in Warehouse Clearance will be half price while stocks last. 3. Four lucky customers will have their total order value refunded. 4. 10% OFF ALL standard stock items.